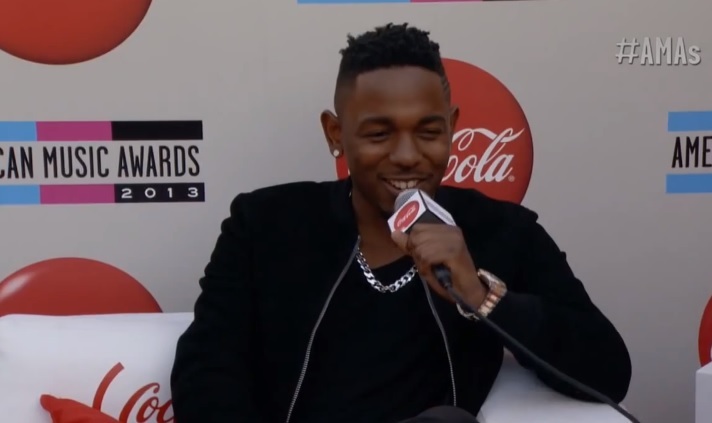 Compton’s Kendrick Lamar hits the red carpet for the AMA Awards and sits down with Jordin Sparks and Lance Bass for a quick interview. Sparks and Bass get right to work and ask the TDE rapper to share his thoughts on being nominated, the success of Good Kid m.A.A.d City and what it’s like touring with Kanye West. Lamar also touches on his motivation to deliver energy packed performances for fans and admits he’s only a student compared to West. This entry was posted in Interview, Video and tagged AMA, good kid maad city, hip hop, Interview, jordin sparks, kendrick lamar, lance bass, rap, red carpet, TDE. Bookmark the permalink.